We've loaded up this expanded space with brand new models so now we have every boat you need for every boating lifestyle you want! We're the dealer with the largest inventory, the most experienced sales consultants, and the best customer service record for decades. Come visit our 16,000 square foot showroom and buy a great boat from a great dealer! 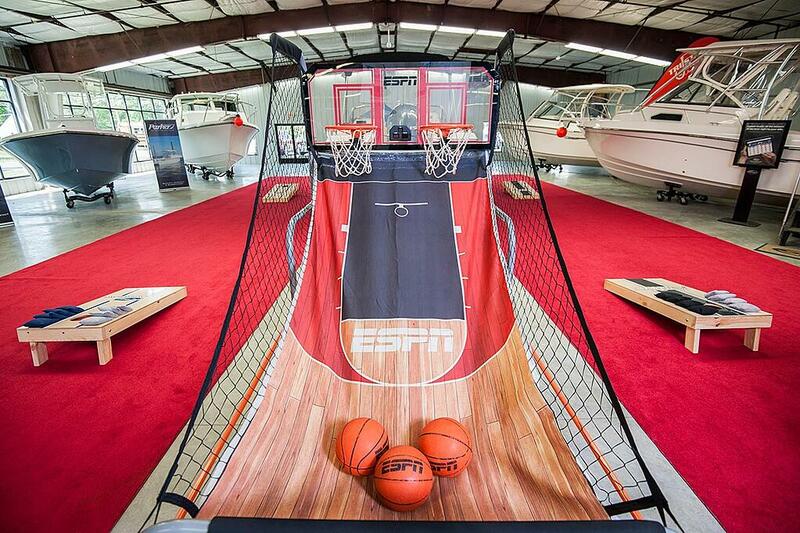 Our indoor showroom features basketball and bag-toss games for the kids and the largest selection of Parker and Grady-White boats in the Mid-Atlantic Region.